The molecular biology technique PCR has now been applied to the determination of Brettanomyces bruxellensis yeast in wine. A kit system is now available in Australia and has been used in our labs to determine the number of viable Brett yeast cells in wine with very good results. This is a rapid and very specific technique. As such, it is another great tool to use in the continuing fight against this pesky spoilage yeast. PCR (Polymerase Chain Reaction) was developed in the USA by Kary Mullis, who shared the Nobel Prize in Chemistry in 1993 (1) for its discovery. PCR is an enzymatic molecular biology technique that detects a DNA (or RNA) sequence and so identifies a particular species or individual. This technique has been widely used in areas such as forensics, medicine, food safety and microbiology since the 1990s. The basis of the technique is the detection and amplification of a particular sequence of DNA from an organism. The amplification is achieved by using the single strand DNA as a template to build more identical strands from building blocks that are included in the test media. The technique is very powerful because only a very small amount of DNA is required and this can be amplified by up to millions of times and then used to identify the species, gene or strand of interest. The use of PCR techniques for the determination of B. bruxellensis (commonly and simply referred to as Brett in the wine industry) has been used in the USA for several years and is widely accepted there as a routine tool in the fight against Brett. There was an attempt to use a kit from one of the commercial American wine labs in Australia a few years ago, however this kit was apparently a bit unwieldy and was introduced by a non-wine testing laboratory. Unfortunately, this technique has not, until now, become popular. The PCR technique uses several key items and materials. One of the main items is the primer – this is the same sequence as a small strand of DNA from B. bruxellensis that is used in the multiplication step for the detection of Brett cells via their DNA. There is now available from a local distributor (2) a US made kit (the Veriflow Brett Test System) that includes all the necessary reagents and equipment needed to measure Brett by PCR. We have recently trialled this in our own laboratory and have been impressed by the speed and accuracy of the technique. In fact we have implemented this system now in all three of our laboratories as an extra way to ascertain the level of Brett in wine samples and have started offering this new test to our many customers. To be able to use the kit, an instrument for the thermo cycling stage of the PCR technique is required and is supplied separately for around $5000. Another instrument – a reader, can also be obtained to better determine the results in a semi quantitative way, rather than doing this by eye. The reader sells for around $9000. The test, although very simple to use, does require good lab skills as very small volumes are used and some specific testing techniques are required. The main benefit of the PCR technique for Brett detection in wine is speed. A result in cells/mL of Brett in a wine can be achieved in one day by PCR. When compared to the traditional technique of plating, which takes up to 10 days for the Brett colonies to grow, this can be a huge advantage. We have certainly had customers who are ready to bottle wine and cannot wait 10 days to get a plating result and so do not get any testing done at all, therefore taking a risk that no viable Brett is present. The PCR technique would be very valuable in this situation. The other popular technique related to Brett is the determination by Gas Chromatography Mass Spectrometry (GCMS) of 2 phenol compounds (4 ethyl phenol and 4 ethyl guaiacol – 4EP & 4EG) as a measure of the taint caused by the Brettanomyces yeast in the wine. Whilst plating and GCMS are still very useful for Brett management, the PCR technique adds another very useful way to measure Brett cells/mL in wine. As stated this can be produced in a relatively fast measurement compared to plating. One interesting aspect of this PCR work (3) is on the issue of Viable But Non-Culturable (VBNC) Brett cells in wine. This study demonstrated that Brett can exist in the VBNC state, and that Brett in this form can be determined by quantitative PCR. The ramifications of this study are yet to be fully explored, however it has been suggested that some Brett cells can exist in wine but cannot be detected by traditional plating techniques as they will not grow on plates of selective media. That is, they are viable, but they are not culturable. The implication is that there may be more Brett cells in the wine that are not picked up by the traditional plating technique. It seems further research work needs to be done to better confirm these findings. It has also been demonstrated (4) that these VBNC Brett cells can change back to viable and culturable state if the conditions in the wine change. 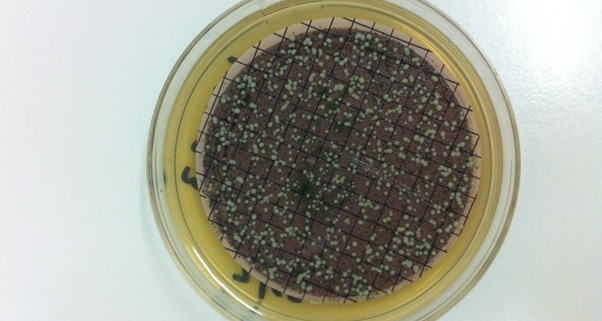 This is an ongoing and interesting area of research on this rather annoying spoilage yeast. 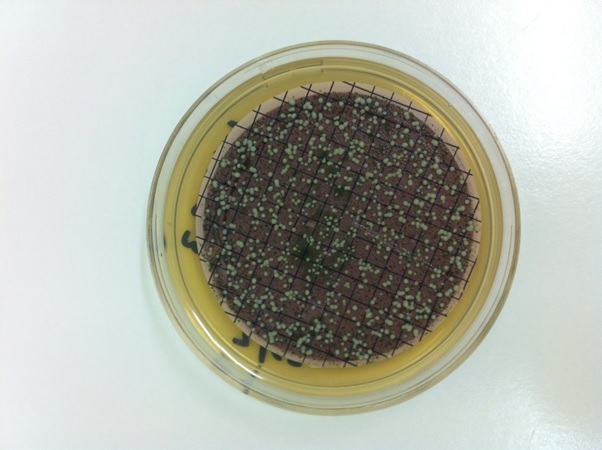 A new and well produced PCR kit for determination of Brettanomyces bruxellensis has been introduced to the Australian market. Validation of this kit and ancillary equipment has been performed in our laboratories. The results are very exciting as there is now a new way to measure Brett cells in cells/mL in wine quickly and reliably. This test should be of interest to many winemakers and winery lab managers as another tool to use in their ongoing management of this difficult wine spoilage yeast. Copyright© 2015 Vintessential Laboratories. No part of this publication may be reproduced in any form or by any means without the permission in writing from the copyright owner.